Am new owner of a cabin on an island in Washington. It has an island wide water supply (reverse osmosis of sea water, pretty cool!) and septic, but no municipal power, so I will be needing to add a good solar setup so came here looking for ideas on that and found a lot more. I have spent time on various interwebnet forums (sailor and camper-vanner) and have had some mixed experiences, some are good and very helpful communities, some are typical nasty troll junk. From my experiences here so far, this is the former, a good community who's really interested in helping each other out, so looking forward to trying to contribute where I can (have some solar experience with the van and sailboat) and digging for some other users' hardfought wisdom as necessary. 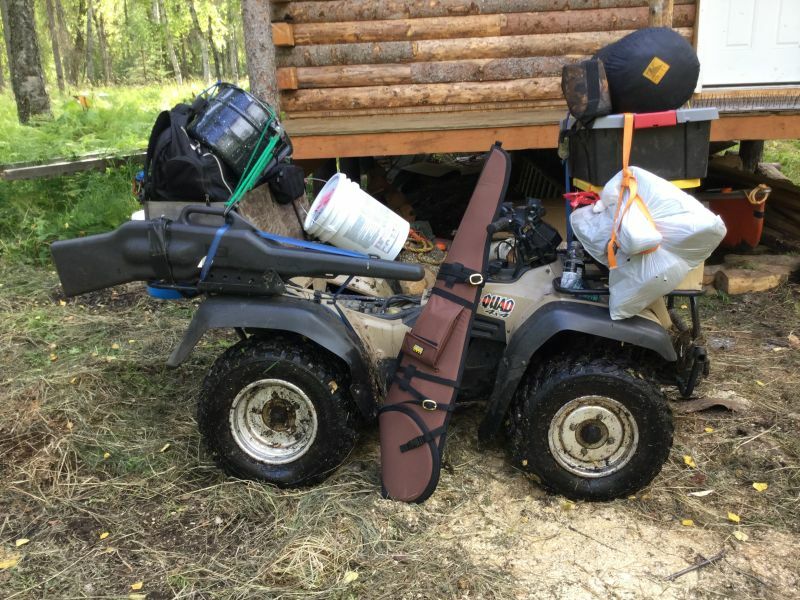 I am new here because I am about to close on 38 acres with a fairly nice cabin and I want to learn how to take care of it. It is small (16 x 28) and was custom built by the guy I am buying it from. It has septic, a well with nice water, electricity but otherwise is very basic. I plan to make it a place where my family can go to relax and get outdoors. As soon as I have some pictures, I will post them. I grew up in the outdoors (NW Montana) and so the rural lifestyle suits me best. I have lots of questions. First off, I enjoy the sense of comrodery. Probably the best way to describe it is just a continuing drive to learn. The desire to be in the outdoors was a large part of why I moved to Alaska as a young man of 21. My first job was as a forest fire fighter. As the years passed I new I would need to make being in this world I love so much. 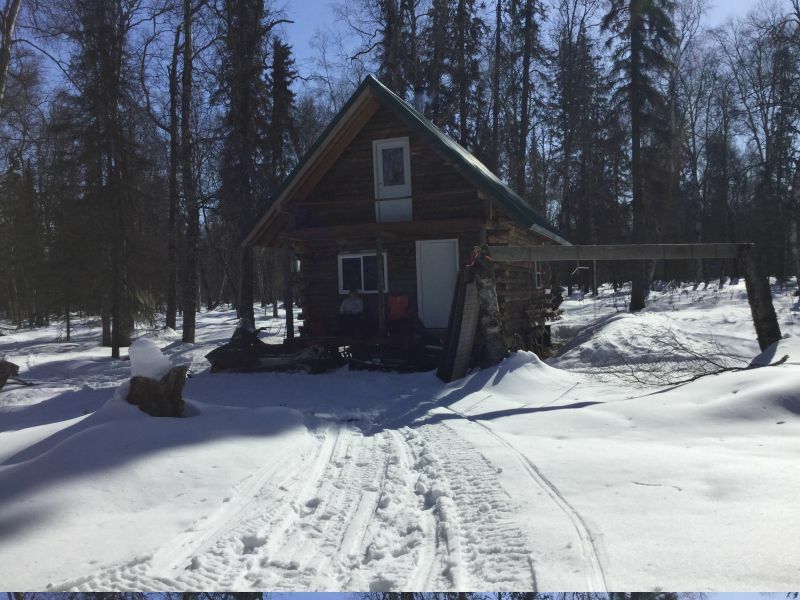 My beautiful wife and I have built a 16’x24’ log cabin, miles from any road. 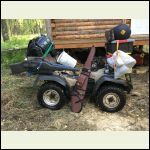 Access in summer (unfrozen months)is via chartered bush plane on floats then a 2 mile trip to the cabin by walking, 4 wheeler or soon to be swamp buggy. Winter time we trailer snow gos an hour then ride in . Always with a load of supplies. By visiting this forum I get to travel to many more places. To learn how to solve the unique problems that come from all of you encounter. All with the unique caricaturists of each of the members. The pictures are worth a thousand words as I look to see how you did it. We ended up being very blessed in being able to have this cabin, and every part of the experience it took to get here. Our biggest goal is to have a place for family . And friends. As an outdoorsman being in the woods brings all of my senses to the forefront. Sight, sound, smell, touch especially when I am still hunting. Or just walking through the woods looking for moose antler drops. Especially when I’m with my beautiful wife or family and close friends. Being able to share those times with the extended forum folks. It is also nice to be able to help others. Either directly or through showing how things are constructed by sharing pictures. Probably mostly because I enjoy cabin mode . Helps me in many ways. 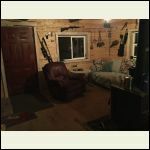 When I kick back and have the time to read this forum helps get me to be in cabin mode. 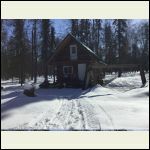 We own 2.5 acres, in a small subdivision in northern AB. Since 2009. Have a 40' fifth wheel as our main residence &shave built a couple of good sized sheds and also a small barn/bunkhouse. We spend every weekend all summer ,approx 20+ weekends a year at the acreage!! Absolutely love it , and dream of living full time one day, in the not too distant future!! Curious to know about home security. Hi all! 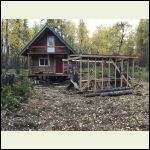 New to the forum and new'ish to small cabin/off-grid living. I say new'ish as both my wife and I spent a few years back in our 20's in the mountains of eastern Oregon- she was off-grid, I had electric. I'm here to learn... and share if I can. 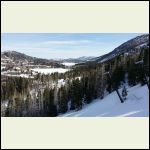 We are closing next week on a place at over 9000' on the eastern slope of th he Rockies in southern Colorado. It is an 800 soft log cabin - actually a really nice log home - with indoor plumbing (septic system) and a shared community spring. The home has a 550 gallon cistern using an RV pump ran off it's own solar/battery to pressurize the system. The house is plumbed for gas appliances and gas lights in each room. Wood and ventless (condensation creator!) Gas heat. We will use the wood stove as we are not strangers to wood heat having used a wood stove for 30 years in the 3000 soft log home we built in Oregon back in the 80's. The home currently, other than the water system, uses a generator for all 120v needs... the home is built to code and wired for electricity - power lines just happen to be 7 miles away! Our planned improvements will be a 1500 watt off-grid solar system (had help designing that on another forum) and building a storage shed/wood shed.... I firmly believe in burning dry wood. We currently live in north central AZ, in the pines with snow on the ground right now. That said our winters here are ideal with the low temps hovering around freezing most of the time and day time highs in the upper 40's and 50's. The summers... hot, for us anyway. The folks from Phoenix come up here to cool off but mid 90's for 3-4 months through the summer is too hot for us! Besides we spend a lot of our time backpacking, hiking and fishing up in Colorado every summer (retired) so it made sense to buy a home there. Edit... forgot to add we plan to spend about 5-6 months a year in Colorado. My wife says if things keep going the way they are off-grid might become permanent! I look forward to learning all I can and contributing where I can. 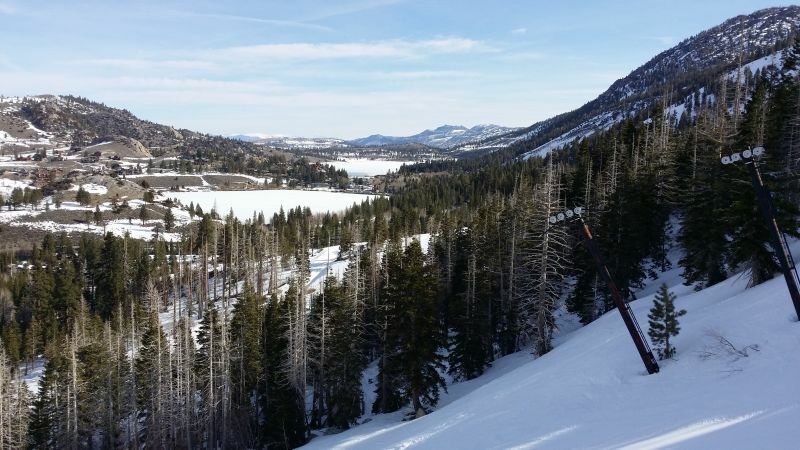 Family, snowboarding, snowmobiling, troutfishing. View yesterday st June Mountain. 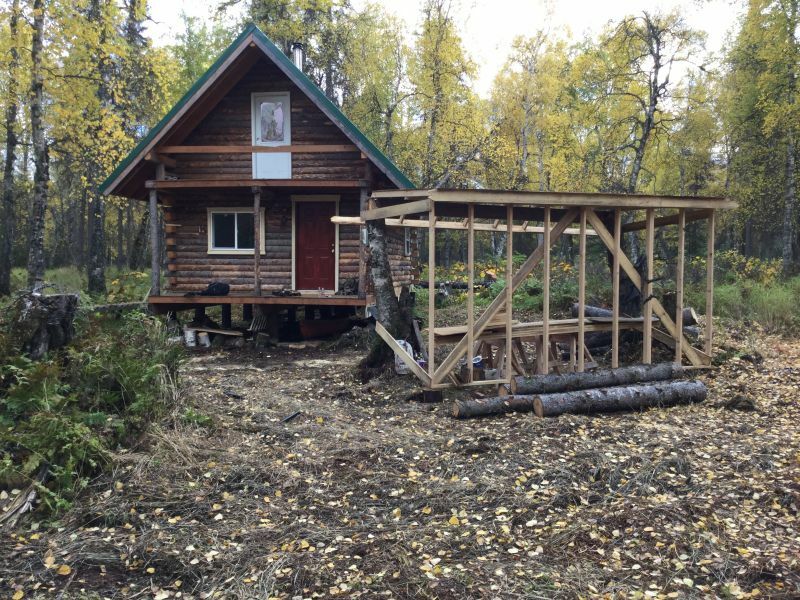 Johanchann, give me a ballpark estimate of an add-on structure of about 200 sf with 3 windows and a door, in a very remote ( no road access) piece of heavy woods in NB Canada. I am here in search of A Magnum ACLD-40 AC load converter. 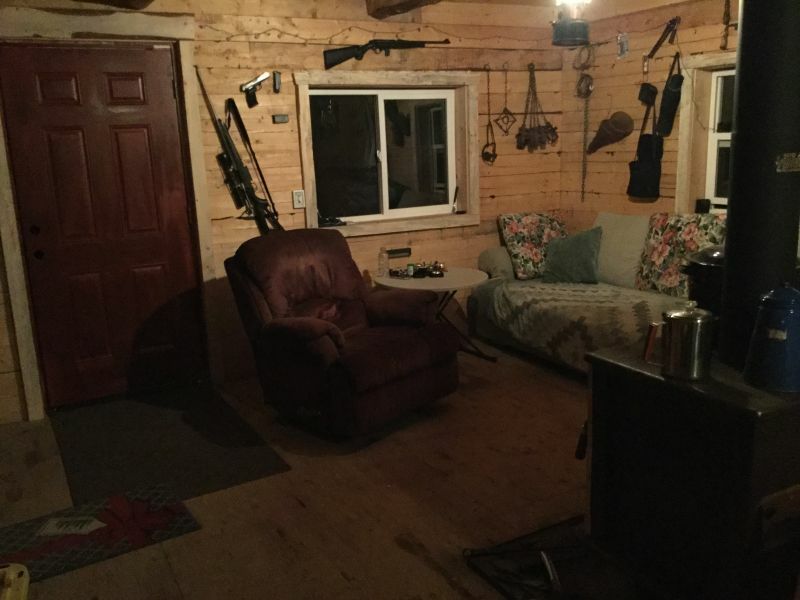 My cabin is off grid. I am operating with The Magnum combo set up. The Magnum PT 100 charge controller, Magnum MS4448PAE inverter/charger, connected with the Mini Magnum Panel. Powered with 5000 watts of PV panels keeping my lead acid Trojans charged. It’s all working very nice. The Magnum network has great communication with all the components. Now I have a 2000 watt wind mill ready to go up. The thing is, most wind generator connections require a DC divert load path using a resistor to keep from over charging the batteries. Most folks I spoke to use DC volt dump. I see how it works, but the Magnum network is very good and cycling Bulk, Absorb, and Float cycles. It seems to me this would cause my smart network undue calculations. Here is the deal. Magnum made a AC load diversion unit that connected to the network and communicated state of charge with the other Magnum components. All regulated by SOC “state of charge” via the battery monitoring kit..The load diversion was done on the AC side of the system rather than the DC with Magnum ACLD load diverted. However this unit did not sell well and has been discontinued..I just found out. I am ready to hook one up and it is no longer available. My windmill is in place. My solar is working great and don’t want to introduce random DC voltages to the battery bank. Just because the Magnum network can do better than that. So fellow off grid folks I ask you. Does anyone know of a Magnum ACLD-40 AC load diverted that could be sold? Sitting on shelf not being used? I asked Magnum today about it. They said it was discontinued because it did not sell but agreed it was the best thing to use in my application. It has been pattened wth the Magnum network. I just want to cycle my batteries as well as I can. I may just use the wind for another less important battery bank, I have too much invested in the house batteries to start messing with cycles. Again: I am looking for a Magnum ACLD-40 AC load diverter.